Unfortunately, we live in a litigious world. Although nearly every doctor puts forth the greatest effort to take the best care of each patient, it is often not possible to keep every single one happy. In this day and age, when patients aren’t happy, they frequently resort to digital channels to express discontent with their doctors. Worse yet, some physicians are involved in lawsuits and, through no fault of their own, end up getting negative press coverage — which in turn can result in loss of business and a tarnished reputation. Often, doctors choose to neglect negative coverage but that is not a good long-term strategy. Instead, physicians do better to take a proactive approach to managing their online presence. In the 21st century, the first ten Google search results tied to your medical business can literally make or break your business. That’s how reputation management for doctors, as a marketing strategy, has become a standard service. Doctor reputation management employs specific marketing strategies to ensure a positive online presence for physicians. 1. Crisis Management: This refers to when a physician needs to go on the defensive due a PR nightmare. Usual culprits causing a doctor to deal with crisis management include lawsuits (both when patients sue a doctor and when a doctor sues a patient), DUIs or arrests (doctors are human, too, and sometimes have to deal with unfavorable public records), misconduct cases(ex., sexual harassment claims) or government investigations (ex., governmental study of a doctor’s billing or prescription practices). 2. Proactive Reputation Management: This refers to tactics used by doctors to proactively build and manage their digital personae. Today, certain physicians have recognized the power of proactive marketing and social media platforms and have systematically engaged different strategies to boost their digital presence. Both crisis management techniques and proactive reputation management use similar tactics when it comes to improving a doctor’s online persona. Crisis management is nothing more than a subset of proactive reputation management techniques used in a more aggressive way. Since a doctor is on the defensive, the costs associated with quickly dealing with the problem at hand are higher. If you are interested in building your online reputation gradually and systematically, this article is for you. We will quickly review all the tried and true marketing techniques that apply to proactively creating a digital brand for a physician. Are you a doctor or physician interested in creating a powerful online presence? This checklist is for you. 33% of Millenials look for healthcare information online and on message boards. 48% of patients said positive online reviews can convince them to go out-of-network for treatment because they value quality of service over care affordability. Don’t feel knowledgeable about what is being said about you online? Google yourself — it really is that simple. In 2017, patients commonly checked doctor reviews on websites such as Yelp, ZocDocs, WebMD, RateMDs, Healthgrades, Google Reviews and Angie’s List. Find your practice on any of these websites and look at what patients are saying. Assessing comments, posts, and reviews on these popular platforms will give you a far better idea of which reputation management approach to take, as well as areas you could improve. A Google business listing on Google My Business is a standard free service provided by Google to all local businesses all over the US. Since Google searching is statistically how a large number of people obtain their information about doctors, having a listing profile could be the difference between creating a positive impression and the alternative. If your medical practice doesn’t already have a business listing – go claim yours. This free listing allows you to add pictures from your practice, add hours of operation, information about your business and lets your patients review your practice. Claim your Google business listing here. Studies show that owning a LinkedIn profile means a high ranking on Google searches — which right away puts you at an advantage. Furthermore, having a well-curated, detailed LinkedIn page makes your practice seem legitimate, while simultaneously giving you a platform on which to showcase your previous achievements. Kevin Pho, MD, estimates that 10-15% of his patients find him through his online presence — and credits his LinkedIn profile for increased business. An analysis of 4999 online physician ratings revealed a surprising fact — most patients give physicians favorable ratings online. This means that just yourpresence on popular physician rating websites means that you will likely benefit from positive reviews! 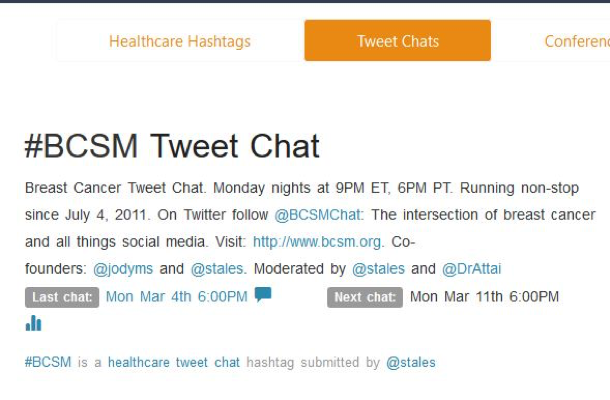 The study found HealthGrades.com, Vitals.com, Yelp.com, YP.com, RevolutionHealth.com, RateMD.com, Angieslist.com, Checkbook.org, Kudzu.com, and ZocDoc.com to be the most popular platforms among physician rating websites; it is of vital importance to maintain profiles on these websites to boost your online reputation. Not all doctors understand that your online presence can change in a matter of minutes. One bad review, or one unwanted article could mean the deterioration of your online reputation and an accompanying loss of business. It is important to always be on top of what people are saying about your practice every day. Thankfully, it is also very easy to do so. One useful method is to set up Google Alerts, which will notify you whenever your name or the name of your practice is mentioned online. This proactive approach will allow you to better manage your image and improve the success of your medical practice. It might surprise you to learn that a combined 48% of patients say they value the friendliness of the medical staff and the ease of scheduling appointments over other information when reading online reviews. Patients leave reviews about every individual with whom they interact in a medical practice, not just the doctor or the healthcare service offered. Train every staff member in customer service best practices and make it company policy to closely follow these practices . Each phone call, front desk conversation and nurse interaction should be handled with friendly, professional behavior. Training staff in customer service protocols could indirectly result in increased business and a more successful practice. Most patients feel that it is important for doctors to respond to all online feedback; it is of vital importance that you respond to both negative and positive comments about your practice online. For positive reviews, be sure to thank patients for kind words about your practice. Leave an uplifting message that underlines your commitment to patient satisfaction, but be wary to avoid revealing any information that may violate privacy laws. For negative feedback, refrain from responding in an emotional state, and think deeply about what your response could imply about your business. The right response can quickly neutralize a negative view about your business. Before you address any review — whether extreme or not — consider whether you are able to address the points made from an objective standpoint. Think about the patient’s perspective, your own view, and even the view of someone who is simply reading the review. Minimize the damage to your reputation while simultaneously sidestepping any possibility of violating privacy laws. Nothing looks worse than a doctor arguing with a patient online. Doctors should encourage the patient to get in touch with the practice in a more private manner, while apologizing on public forums. Do not acknowledge that a patient was in your office, or that you provided treatment — this is in strict violation of privacy laws and will not reflect well on your business. Furthermore, it is important that you keep your private and professional lives separate on the internet. When potential customers look you up online, it is important that they do not see the nights out and the family barbecues, only what matters from a work-perspective. Keep private profiles restricted so that only friends and family can see them. If you have private information online and cannot remove it, an online reputation company can help. As previously stated, most physicians receive favorable reviews. This means that setting up a user-friendly review process for your customers is in your best interests. Not receiving enough reviews? That may just be because you’re not encouraging patients to leave them. Ask your patients whether they’d be willing to review you when you send them follow up emails. According to a 2016 survey, 70% of consumers said they would leave a review for a business if they’re asked to do so. If you are concerned about asking for public feedback, know that requesting reviews rarely hurts a practice. In fact,more than 50% of patients report leaving positive reviews when they do rate a business; only 7% of patients write negative reviews. An easy, intuitive review system means that your review base will only grow with time, enhancing your online reputation. Positive and negative feedback can improve your online presence, but it won’t be useful unless you act on it. Feedback is among the best signs of where your practice stands to improve, and offers an opportunity to give your customers the best experience possible. Facebook is a great place to speak to your patient base and directly ask for reviews through organic posts. Since no one can hide behind an anonymous moniker, you can trust that the feedback you solicit should be a bit more reliable than on other platforms. Take advantage of the following you have built to solicit feedback. 90% of consumers read online reviews before visiting a business. Indeed, 84% of people trust online reviews as much as a personal recommendation. Positive reviews, satisfied quotes, and happy patients make for highly effective free advertising; they are proven to affect the way potential customers think about your business. Be sure to obtain permission before using any patient’s content in marketing material, however. A word of caution: resist the temptation of creating fake, positive reviews for yourself. Fake reviews are not only fundamentally immoral, but review websites often scan for inauthentic submissions. If a review on your page is flagged as fraudulent, your practice will quickly develop a negative reputation. If the authenticity of your reviews cannot be verified, your practice could be flagged. There are several reasons why doctors should consider authoring a blog. First, writing a blog conveys to readers that you are proactive and involved in the medical community. It also builds a voice of your own. This goes a long way to establishing you and your practice as a thought leader in the industry. It also has the potential to give you a vastly enhanced reputation. Blogs are also a lesser-known but highly effective search engine optimization tool. Owning a blog means that your website is more likely to rank highly in search engines such as Google, owing to content freshness and user interaction. Blogs have the added advantage of providing you with content for social media. This gives you a forum for getting involved in popular news items, and enables you to rank for Blog searches as well as regular searches on the internet. This means more people will see your content. Social media is a multi-faceted tool. Social media can be used to find new patients, engage existing ones, and improve your online reputation. Maintain a social media presence that provides useful information, updates about your practice and helpful, respectful answers to patient questions, and even thought leadership! Many patients turn to social media in their online inspection of a healthcare provider. If you don’t have a presence, you are selling your practice short. Today, 31% of healthcare professionals have already turned to social media for professional networking. Over 40% of patients report that social media affects their choice in a healthcare provider and facility. Emphasizing what makes your business different from the competition is not strictly an online reputation management tool, but it can be employed online to make your practice stand out. Does your business offer better customer care than others? Make sure to highlight it on your website and publications. Not only can an effective content marketing strategy win you valuable organic search traffic but those in your city who see that you have published thought-provoking articles about your industry of expertise will also see you as a thought leader in your field. What better way to show the world you are keeping up with current trends in the medical world than by publishing a regular stream of articles about your profession? Useful content will be greatly appreciated by readers and it gives you an effective means of selling without being overtly sales-y. Even just one post per month will go an incredibly long way to improve and expand your reputation over a period of several years. In today’s digital climate, having a company website is imperative. 81% of consumers perform online research before making a purchase, and owning a website allows you to express information about your business in a professional, official manner. Furthermore, owning a domain name means that customers that research using organic search engines are more likely to come across your business, meaning more customers for your practice. If you want your business to rank highly on search engines, understanding how backlinking and search engine optimization work is of vital importance. A backlink is an incoming link to your website. In other words, another website links to yours. The more backlinks your website has, the higher it will rank on popular search engines such as Google. The higher your website ranks on these search engines, the more likely people who search for “best doctors in my area” or related phrases are to see your business. Indeed, 93% of searchers never go past the first page. Instead, they are using only the first 10 search results to form their impression — which means it’s imperative for you to be near the top. Search Engine Optimization focuses on how to make your website rank highly on these kinds of websites — this does not simply include backlinking. Making yourself familiar with SEO principles could mean increased traffic, and ultimately more business for your practice. Having a well-maintained online reputation can be the difference between a successful or a struggling medical practice. The staggering effect of online activity is backed up by statistics. Nearly half of U.S. adults said they have Googled someone before doing business with them, and 90% of consumers read online reviews before visiting a business — showing how important it is for businesses to have positive online reputations in the 21st century. Implementing even a few tips from this guide could greatly benefit your practice to increase exposure and revenue, while bettering your online reputation. Need help with your reputation management? See how Digital Authority Partners can help you today.